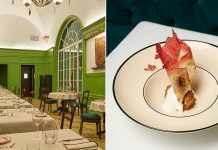 There is only one thing that unites Singaporeans so quickly and passionately — food. And if something goes wrong with our food, we’ll compulsively mash the share buttons on Facebook. But thank goodness most of them turned out to be scams and no one was actually hurt. Then again, here are 9 food scares in Singapore that left us momentarily afraid and confused. 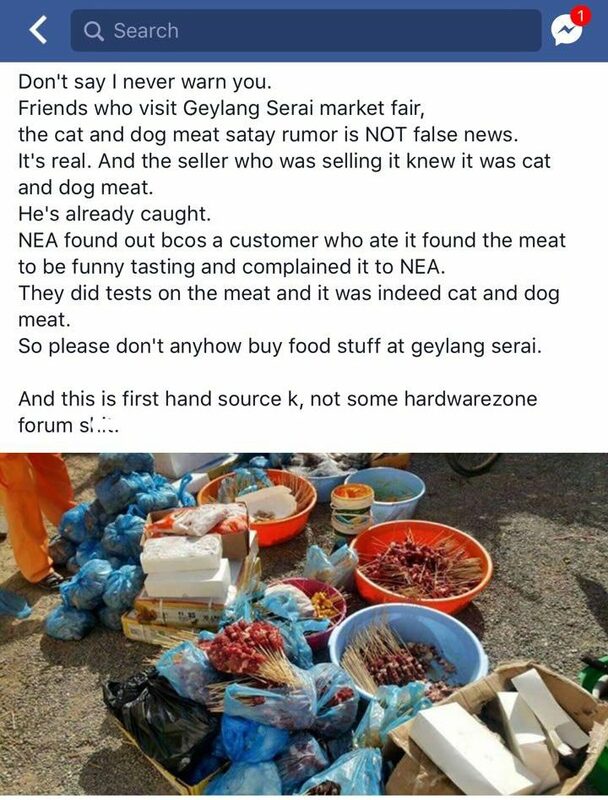 Rampant rumours about dog and cat meat being mixed into satay meat to be sold at the Geylang Serai Raya Bazaar surfaced in June 2017. 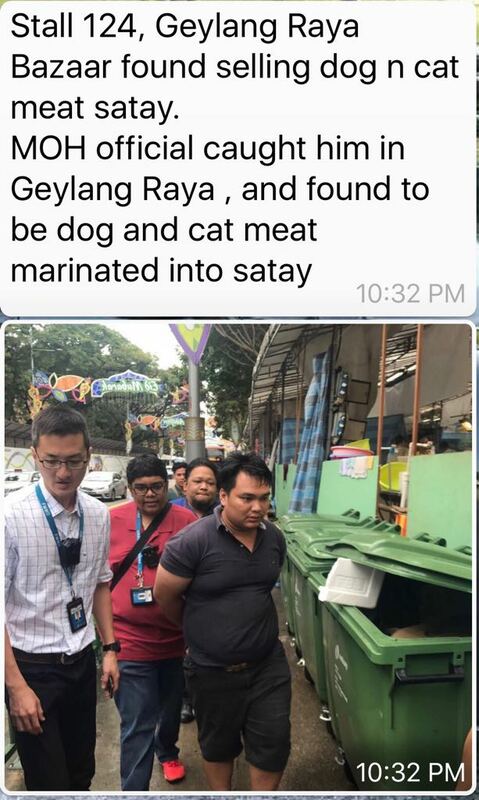 Screenshots with photos depicting raw satay sticks and culprits getting arrested made their rounds on WhatsApp and Facebook. Ministry of Health (MOH) and Ministry of Manpower (MOM) eventually had to step in to announce that no such arrests were made. The ‘incriminating’ images were sourced from elsewhere online. We don’t understand why one would spread such falsehoods, but for now we can continue biting into succulent sticks of satay in peace. But remember that big hooha about meatballs made of horse meat? Practically everyone in Singapore freaked out when IKEA temporarily stopped serving these delicious chunks of goodness. 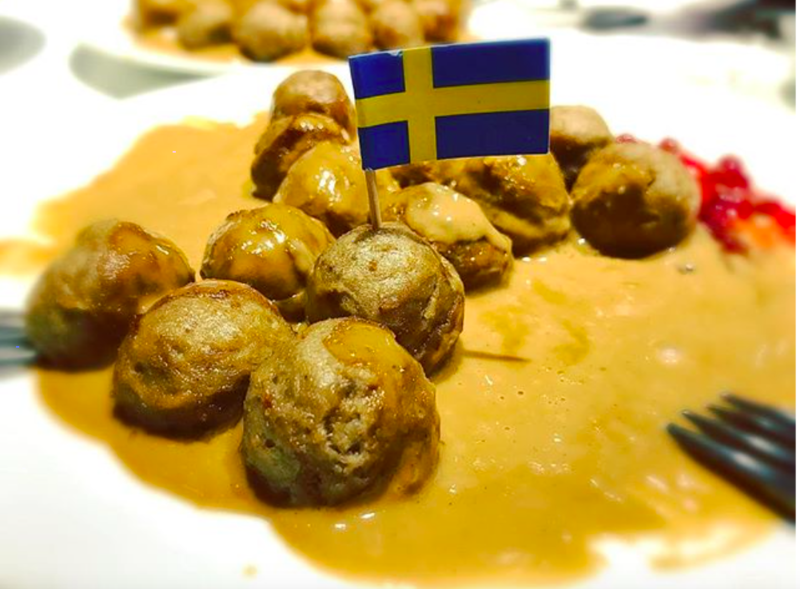 IKEA’s fears were not unfounded, as Czech State Veterinary Administration detected horse meat in imported meatballs labelled as beef and pork. Thankfully, although Singapore imports meatballs from the same source, the batches sold here were not contaminated. Pictures of gelatinous blobs in a shrimp’s head spread like wildfire quickly across social media, back in 2016. Turns out, the shrimp was bought from a wet market in Sengkang. People were concerned that the crustaceans had been injected with gelatin to boost their sale weight, as per a common practice in China. 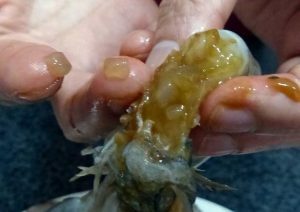 Agri-Food and Veterinary Authority (AVA) eventually confirmed that the “gelatinous blobs” were “part of the prawn’s normal anatomy” and are more “prominent in fresh prawns”. TLDR, these prawns are normal and safe for consumption. Plastic rice coated with dangerous resin first affected Singapore in 2015, including Vietnam and Indonesia, according to The Straits Times. 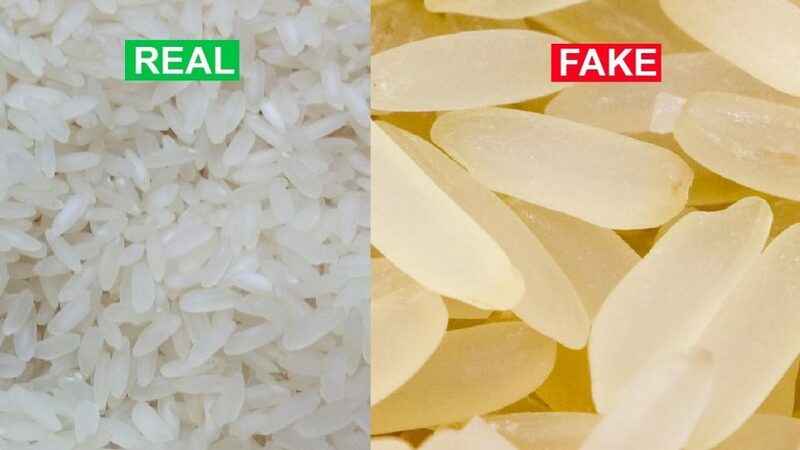 The fake rice was reportedly made from potatoes and sweet potatoes, then moulded into the shape of rice grains. They looked so similar that it was difficult to tell with the naked eye which was real or fake. 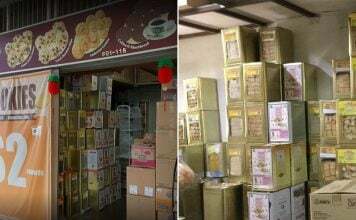 News of the counterfeit rice were plastered all over the Facebook timelines of many Singaporeans, causing tension to rice quite a bit online. In Feb 2017, the issue of fake rice reared its head again, this time involving NTUC FairPrice’s house brand. FairPrice later made a police report, insisting that the rice in question had passed safety checks. Who else remembers the mad rush for this drink when it first hit Singapore’s shores in 2016? 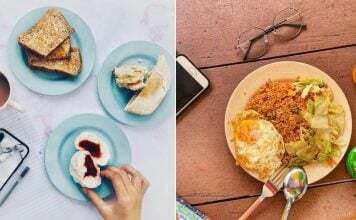 Besides achieving fame for being constantly swiped off shelves, AVA also found a substance in the beverage not under the list of permitted food additives under the Singapore’s food regulations. All batches of the drink were recalled, which probably broke the hearts of many Singaporeans eager to try it. In the end, L-theanine acid, the banned organic compound found in the drink, did not pose any significant safety risk. 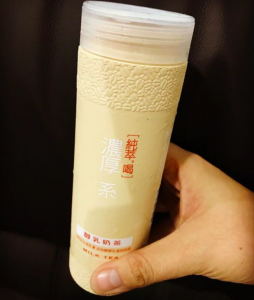 Chun Cui He milk tea then quietly made its way back onto shelves, without the unapproved ingredient and initial hype. Grass jelly, or locally known as chin chow is a common favourite in our shaved iced desserts. But a customer who purchased the instant version from NTUC Fairprice in May 2017, claimed her grass jelly had a weird colour and texture. The video that she posted online went viral as she describes it “[absorbing] all the water like a sponge”. NTUC Fairprice launched an investigation with the AVA and they conducted laboratory tests on samples from the chin chow in the video. The conclusion? It was legit chin chow. An inspection at the manufacturing facility of the grass jelly and found it to be “satisfactorily maintained with no abnormalities in their manufacturing process”. A video of a man putting Singapore’s favourite pork floss bun’s filling from Thailand into water went viral in June 2017. He alleged that genuine pork floss dissolves in water, while fake pork floss made out of cotton would be insoluble. 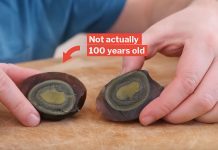 Another user also uploaded a video about finding an extra ingredient in what appears to be the same type of pastry. 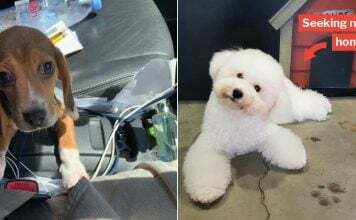 There’s been no word on whether these claims turned out to be true, but this conspiracy definitely spooked many netizens. So far there have been no confirmed cases of ‘cotton pork floss’ in Singapore. Thank goodness. 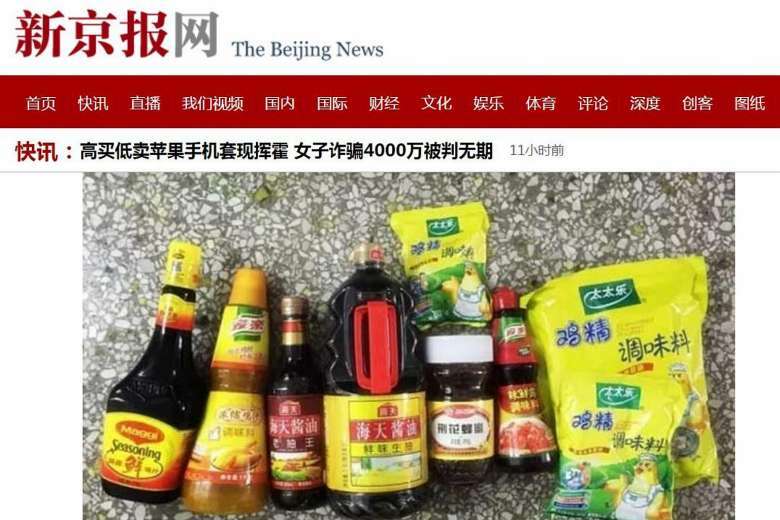 In 2017, counterfeit versions of popular food seasoning and sauce brands such as Maggi, Knorr, Nestle were allegedly being produced in factories in the northern Tianjin district, China. The factories’ concoctions used industrial salt, food colouring, additives and tap water to make ‘soya sauce’. Sodium benzoate – known to be carcinogenic – was reportedly used in other sauces. Singaporeans feared that these products would somehow find their way into the hands of unsuspecting local citizens too. 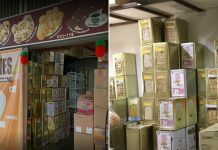 The counterfeit products were only officially distributed within China and there have not been any reported cases involving fake seasoning here. A video claiming that Hup Seng’s Ping Pong Special Cream Crackers were coated with a layer of plastic was widely shared on social media in August 2016. To prove this claim, biscuits were lit on fire as proof that it contained synthetic materials. Though the original video has since been deleted, other users have uploaded it onto YouTube again. 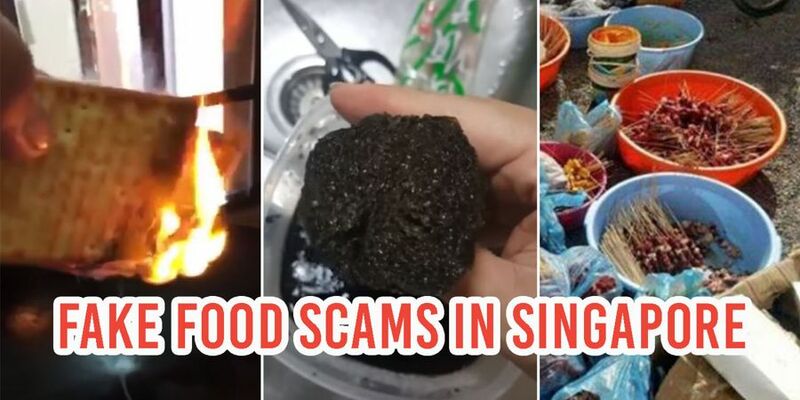 Hup Seng responded to the video, pointing out that it’s normal for “flour and/or oil related food products” to “combust or burn”. Upon investigation, Malaysia’s Ministry of Health found no evidence of plastic as an ingredient in Hup Seng’s crackers. Did you hear that huge sigh of relief? Fortunately no food disaster of sorts has struck Singapore, yet. But food safety starts with us. Before we eat anything, we should probably make sure our food comes from a reputable source. Most importantly, stay vigilant folks. Don’t believe and share every food scam you see online. Featured image from YouTube, YouTube and Facebook.